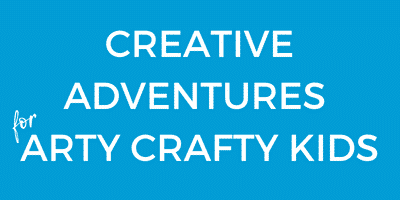 Bring these lovable to life through the art of story telling. 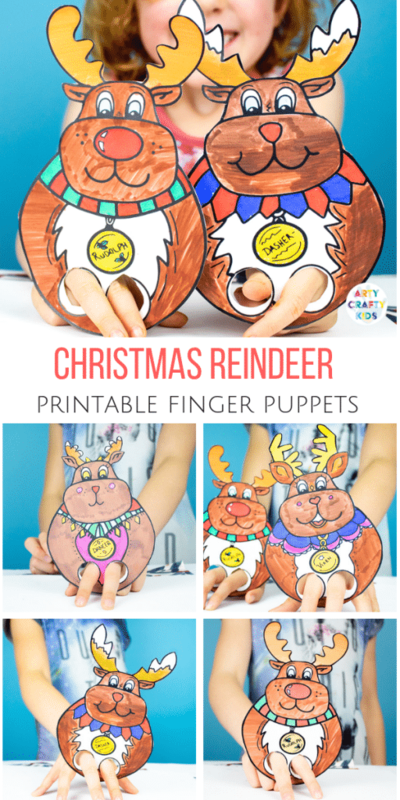 Set up a small puppet theatre and work with your children to create a story with a beginning, middle and end. What adventures will they have? 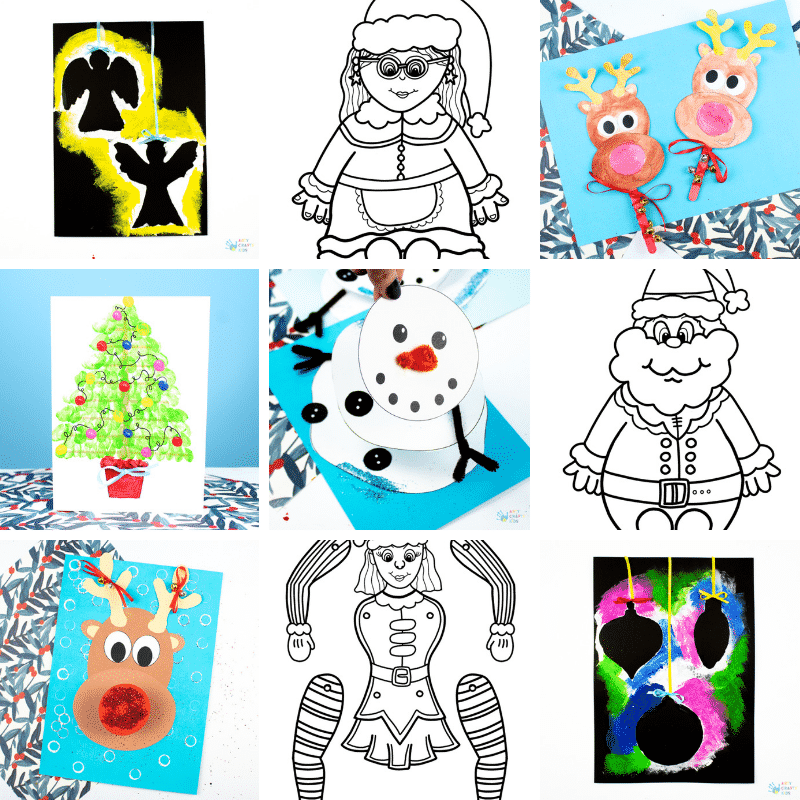 And venture into a members area, where you can also download Mr and Mrs Claus! 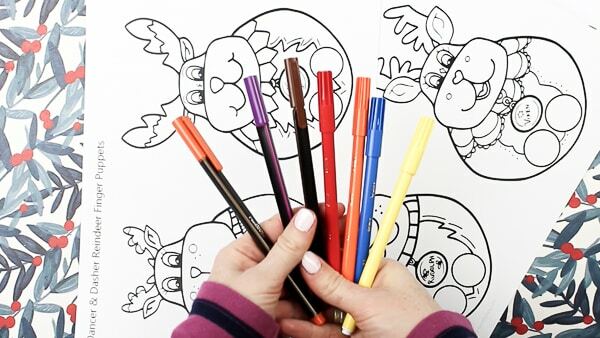 Colouring Pens/Pencils or even Paint! 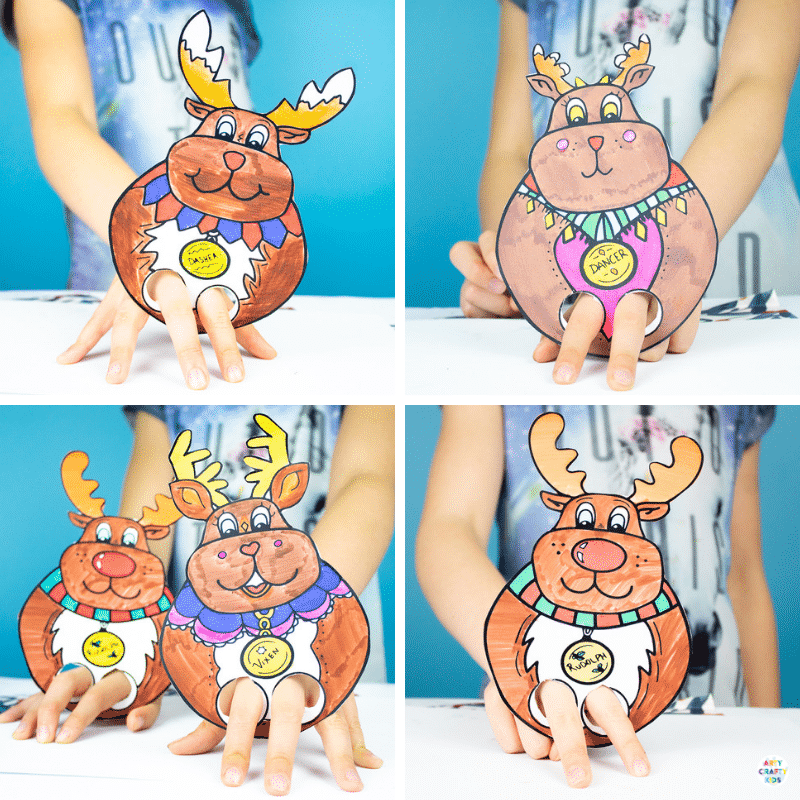 Download Rudolph, Vixen, Dasher and Dancer from the Arty Crafty Kids Club! 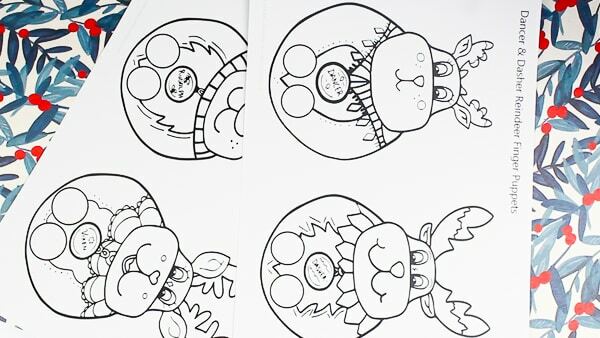 Step 1: Download and print the reindeer templates onto white card stock! 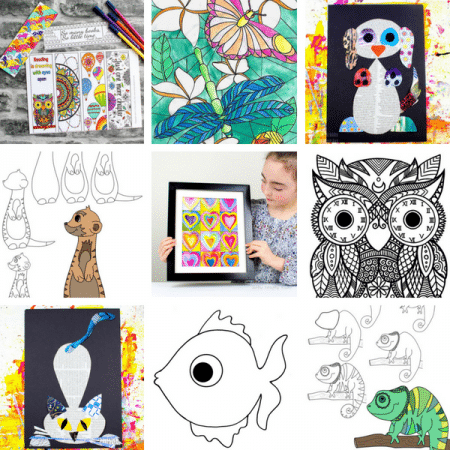 Step 2: Add a splash of colour! 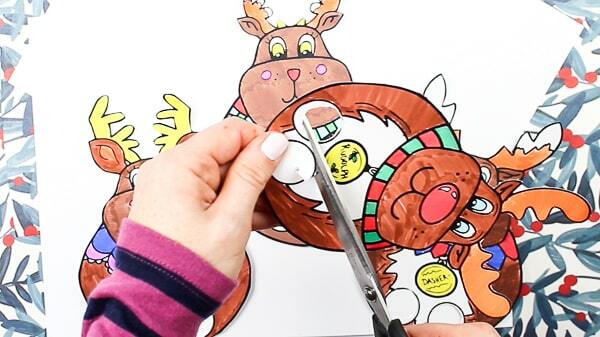 Step 3: Grab a pair of scissors and begin cutting around the puppets. 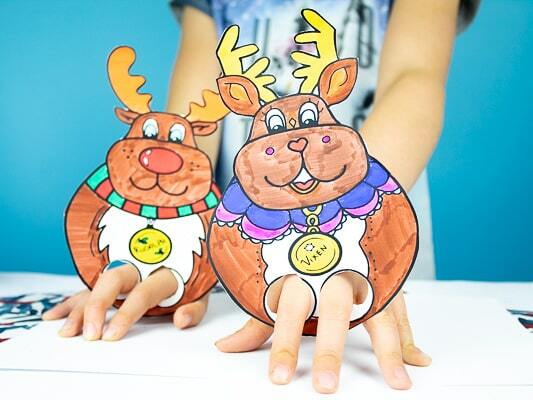 While the reindeer bodies are reasonably easy to navigate around, little hands may need assistance around the antlers! Step 5: Cut out a pair of finger holes. The holes are fairly generous in the size to allow ‘best fit’ for your child’s fingers. Try to leave any excess white space at the bottom of the hole. Step 6: It’s time to play! 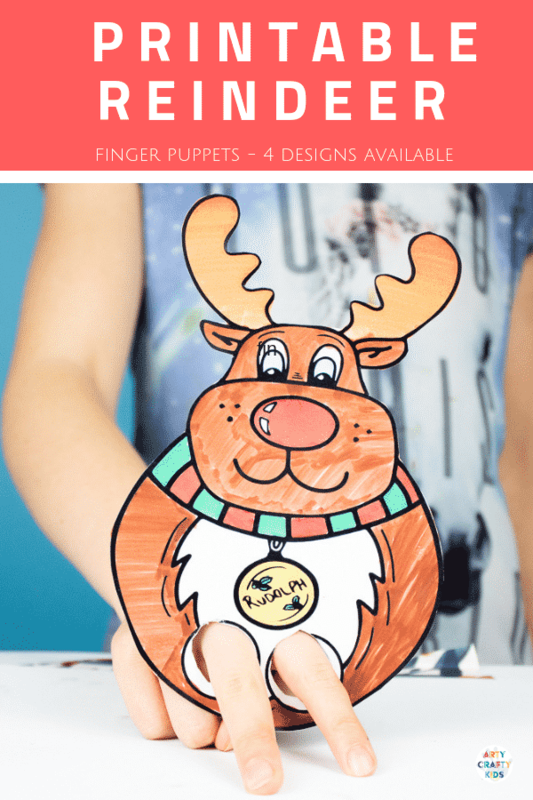 With all four designs, kids can add personality and character to their reindeer. What are their character traits? 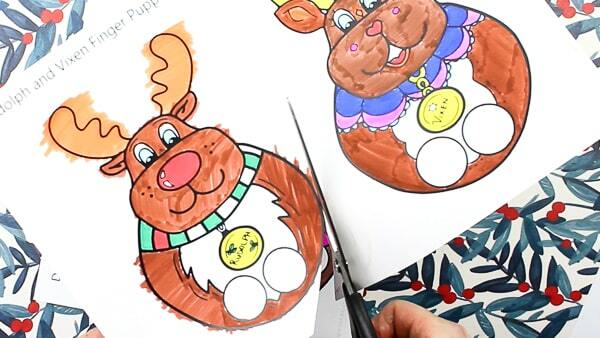 What does Rudolph sound like?